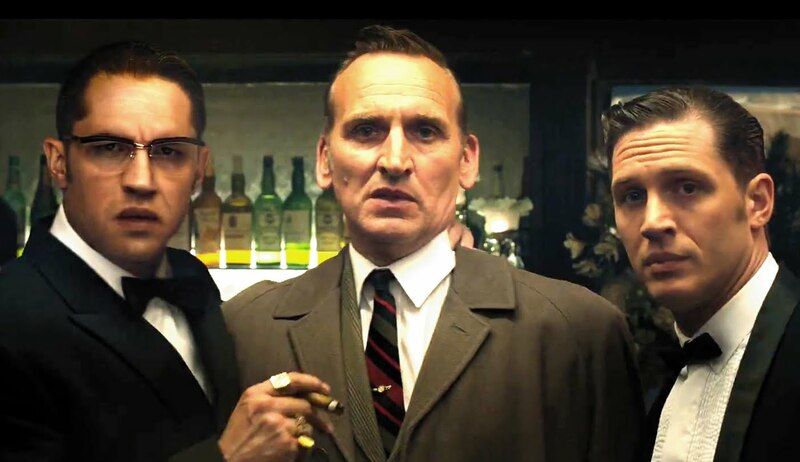 The Oscar bait films are in bound, and to lead the pack is “Legend.” Hot off the heels of “Straight Outta Compton,” “Legend” follows the tale of Reggie Kray (Tom Hardy) and Ronnie Kray (Tom Hardy) as they take over the entirety of the 60’s London underworld. That’s right. 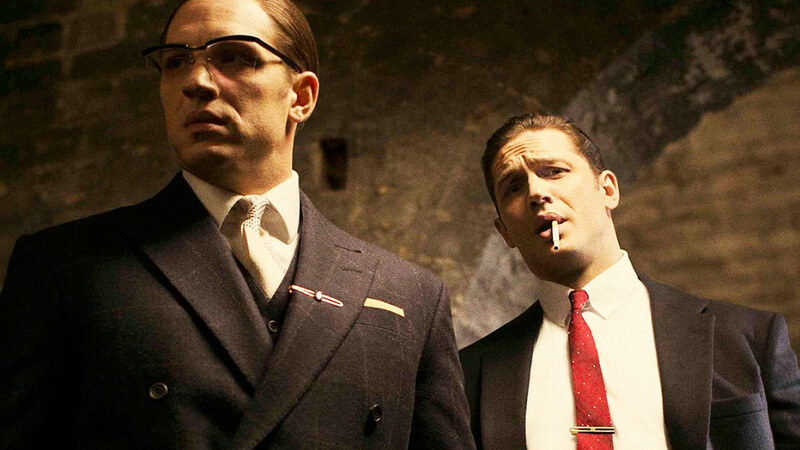 For those who know nothing of the film, The Kray twins are both played by the ever-talented Tom Hardy. An interesting gimmick, but how does it work in practice? Remarkably. Truly remarkable. 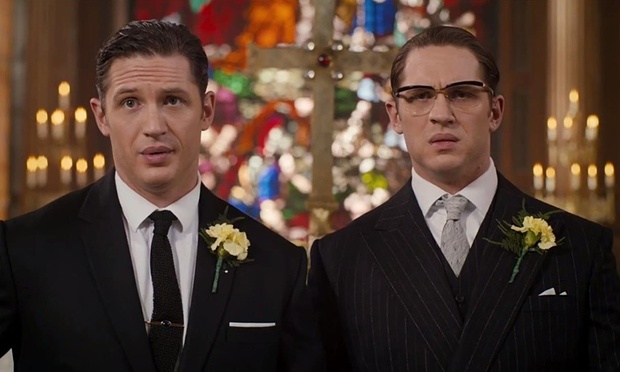 At first it’s undeniable to see just Tom Hardy, but as the film goes on the two twins really become their own characters. Small nuances differentiate them, posture, facial expression, movement, each tuned to the individual aspects of the specific character. The goal of any actor is to fool the audience into not seeing the actor but the character they portray, a feat Tom Hardy pulls off with ease. “Legend,” perhaps reflecting the central characters too much, is ultimately a very schizophrenic and split experience in most of it’s presentation. It works in some aspects buy in others it really is a head scratcher. The highlight of the show for many audience members will certainly be Ronnie Kray, the unhinged psychopath of the two. For a film focused on underworld violence, Ronnie proves to be the foil to the typical genre conventions with genuinely laugh out loud dialogue and actions that provide frequent and copious levity. Ronnie’s scenes are the stand outs from the film providing some truly memorable moments. He’s likeable despite his obvious and apparent flaws. This is both one of the film’s greatest strengths and weaknesses. “Legend” feels confused and erratic. It jumps from moments of complete levity to those of dire consequences. It constantly pokes fun at the stigma of homosexuality light heartedly, then alternates to the psychological deterioration of another character. It’s jarring to say the least and because of the evident lack of tact the tonal changes take, the main emotional beats of the film don’t really hit home. Or anywhere close to home for that matter. The script very clearly favours Ronnie too, with the more level headed Reggie’s character being rejected to development via a simple romance sub-plot that weighs the core themes of the film far further than they should have ever reached. These conversations that Reggie Kray and his romantic interest Frances (Emily Browning) have also have a strange sense of revision, as if one script was edited heavily to include weighty one liners meant to inject some sort of ideological drama into the film where it seems it has no right to be. Pseudo, “deep” lines are placed oddly at the end of conversations for what I can only imagine was to leave a poignant sense in the audience. Not so. “Legend” suffers from what can only be described as a confused tone which leads to an incredibly distracting dissonance between what we’re seeing on screen and what the tone suggests. Perhaps this is what, “Legend” was aiming for, a sense of utter surrealism in the face of preposterous situations yet the totally bizarre scenes are stuck beside supposedly emotionally heavy scenes resulting in a messy, confused and ultimately disappointing final film.